This Book I Read - . I'm following up here on my Rosh Hashana resolution to read a book a week. So. I finished Nikki Nash's, 72 Raisins, three days ago and I haven't stopped thinking about it. It's a story of one man's search for meaning and it's funny and warm and sometimes creepy with interesting characters and a few well-placed plot twists. Anytime a book follows me around, days after I put it down, it's a good thing. This book is a good thing. 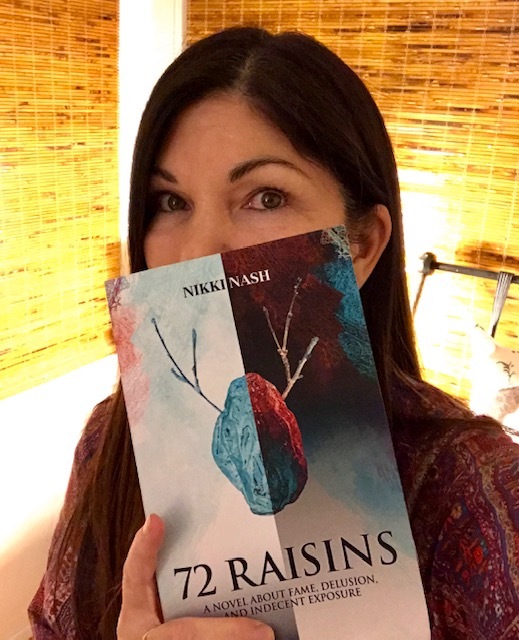 I am a fan of in-real-life Nikki Nash and I am not being compensated for this review. Interesting, I agree that when I'm thinking of the book I'm currently reading while at work or driving, it's definitely a sign of a good book.